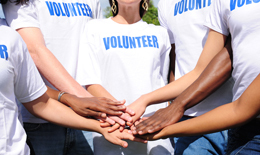 There is no denying that well organized volunteer programmes help companies to improve their external reputation, to build lasting strong relations with their local community, as well as to improve staff morale, motivation, team spirit and initiative and to build employees’ capacities, leadership skills and creativity. Moreover, companies, which align volunteer activities with their business strategy, create new business opportunities and achieve higher recognition by customers and consumers. At Signosis, we assist companies to organize, manage and evaluate strong and tailored corporate volunteer programs with a view to maximize returns, enhance corporate value and increase the social impact of volunteer activities. Through our unique and proprietary platform and tools and with the cooperation of civil society organizations we provide to our clients a broad spectrum of volunteer opportunities throughout the year allowing for their employees to choose the activities they wish to support, the hours they would like to offer and the schedule they would like to follow. In addition we assist companies to promote accountability within corporate initiatives and calculate the return on investment, by using quantitative and qualitative indicators to measure the business and social impacts of their volunteer activities.